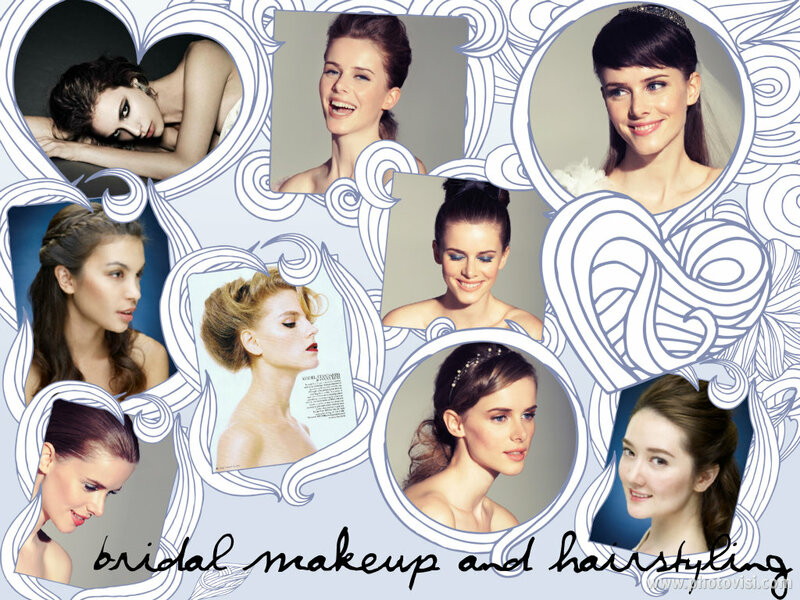 Your Tropical Beach and Garden Bridal Hairstyle Solutions | beauty. bikes. Getting married in a tropical climate such as Singapore (or Bali! LOVE! ) can be a beauty nightmare for most. Curly hair gets frizzier, straight hair refuses to curl, your makeup starts sliding off.. well, I’ve got some simple solutions for you to have the best hair(and makeup) day at your tropical beach or garden wedding. If you hair is really straight and heavy, and no hairstylist has ever made your curls last for more than the time you stick around in the salon, don’t expect any different on your wedding day, especially if you’re having your wedding outdoors. The weather in Singapore can go up to 34 degrees Celsius during the day, so you are bound to sweat (unless your bridesmaids are fanning you ala cleopatra!). If your shoulders are showing and your hair is down, be prepare to have it stick to your neck and back. These things show in pictures- and they don’t look good. 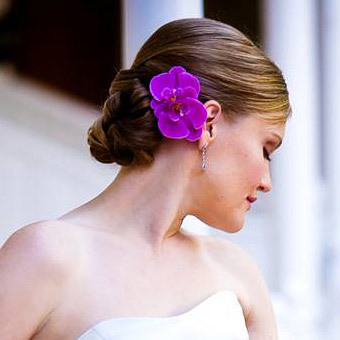 Opt for a classy updo instead and you’ll be keeping your cool much more easily. For those of us who have curly hair, work with this texture to bring out your luscious curls and waves. 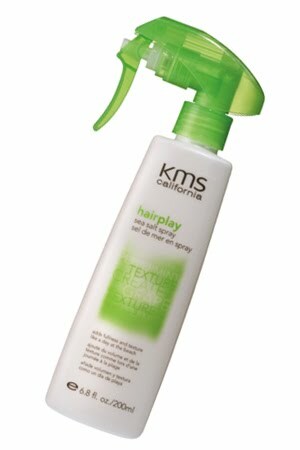 Try KMS Sea Salt Spray to add texture to your curls for that beach babe vibe. Spray it in, diffuse dry, scruch a little wax in at the ends and set it with hair spray. Pop in a pretty hair accessory and you’re good to go in less than 30minutes! Also, you’ll be the envy of your counterparts who are going for option (1) above. Flowers can make amazing hair accessories that bring you back-to-nature. They jazz up your hairstyle, and can even be used as a wreath for yourself or for the flowergirl. Here, we are blessed with the perfect weather for cultivating Orchids and Frangipanis, which i hear are cut-throat expensive temperate climates. You can choose flowers which compliment your hand bouquet or theme in terms of colour, but choose a different species to avoid looking too matchy-matchy. Good quality fresh flowers can last between 5 to 8 hours. If the type of flowers you choose can be dried and kept (eg Roses or Forget-Me-Nots, they will last even longer). Keep them in their wrap or in a vase until you’re ready to have them pinned to your hair. Your bridesmaids too will be wanting to look their best for your wedding. One great way to stand out from them is to have a completely different hairstyle. So, if you’re having an updo, request that they leave their hair down, or at least in a half-updo. A simple yet pretty way to have them do their hair is to add braids, a little french braid across the crown or to pull back their fringe can add uniformity to all your “jie meis”, or bridesmaids. It’s quick and they can do each other’s hair too if they don’t have a hairstylist to themselves.